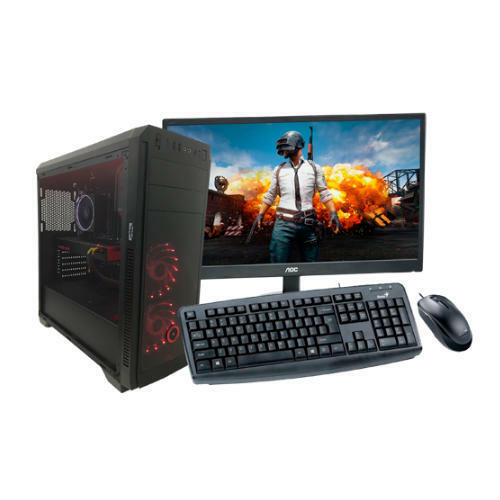 Backed by rich industry experience and market understanding, we are involved in offering a wide array of Gaming Desktop Computer to our valued patrons. Established in the year 2002 at Jalandhar (Punjab, India), we “Unified Soloutions” are engaged in trading an excellent quality range of PC Antivirus, Biometric Attendance System, Server Blades, Card Printer, Desktop Computer, Branded Laptop, Video Wall Controller, etc. We are a Sole Proprietorship firm and we source products from the reliable market vendors which can be availed from us at reasonable prices. Under the guidance of “Mr. Munish Anand” (Director), who holds profound knowledge and experience in this domain, we have been able to aptly satisfy our clients. Our immense knowledge base and technological leadership is the key of its ability to provide the solutions that meet all aspects of industry requirement. Our goal is to provide State of the art technology products, services and solutions to our customers. Our alliance with major Data Communication / Telecom manufacturers enables us to offer best services with the latest technology. We have a team of expert engineers in the field of data communication/ telecom, networking and security.